This is the fifth new daily direct flight the airline has inaugurated to the tourism region of Riviera Nayarit and Puerto Vallarta in little less than a year, considering there is another one from Los Angeles awaiting approval. 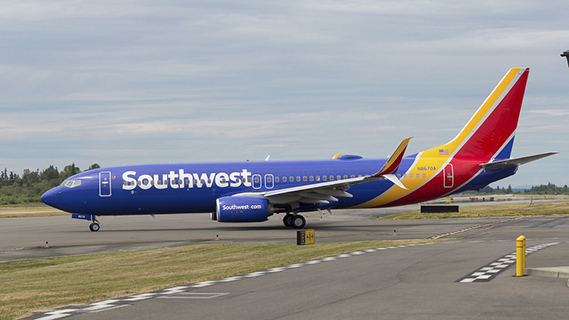 Southwest Airlines has confirmed a new daily direct flight from the Oakland International Airport to the Lic. Gustavo Díaz Ordaz International Airport, improving connectivity between San Francisco Bay and Puerto Vallarta and the Riviera Nayarit. The new flight—which is still awaiting US government approval—has a start date of February 12, 2017 and will last the season through April 24, 2017. Tickets have been on sale since last August 4th. "As we constantly look at new opportunities to connect Bay Area travelers with fun and exciting places in their lives, these Mexico beach destinations have long topped the list," said Dave Harvey, Southwest Airlines' Managing Director of Business Development. In little more than a year, Southwest Airlines has launched three new flights from Denver, Houston and Orange County, which, added to the Los Angeles and Oakland flights—both still awaiting approval on behalf of the authorities—means five new flights to the region. Click here for the official airline press release: http://www.swamedia.com/releases/bay-to-beaches-oakland-to-mexico-nonstop-service-now-available-for-booking-as-southwest-airlines-extends-flight-schedule-through-late-april-2017?l=en-US.